7 Natural Remedies for Lupus That Give Proven Results! I've been suffering with Lupus for 15 years and in the search for relief I've been taking numerous medications, but loath the side effects. I would finally love to at least feel better and cut back on, if not get rid of, my medications once and for all. Is there any natural or home remedy for this? Hi Sandra, and thank you for your question regarding a natural remedy for lupus. 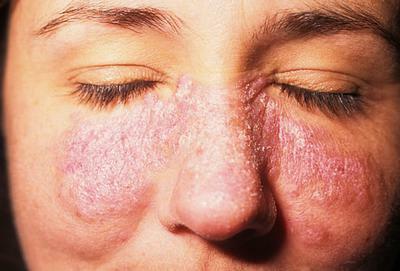 There's really seven home remedies for lupus that you definitely should look at using. They are extremely effective and go to work very quickly. Natural Remedy for Lupus #1... Omega-3 Fatty Acids: A 2008 study published in the Annals of the Rheumatic Diseases showed that participants who took 3000 mg's of an omega-3 fish oil supplement daily for six months showed significant improvement in their lupus symptoms compared to the placebo group. Home Remedy for Lupus #2... Vitamin D: There seems to be a direct correlation between low levels of vitamin D3 and autoimmune diseases such as rheumatoid arthritis, multiple sclerosis and lupus. After reviewing numerous studies, and publishing in the Current Opinion in Rheumatology journal, researchers concluded by saying... “A number of recent studies have highlighted the association between systemic lupus erythematosus and vitamin D deficiency.” 3000 IU is the minimum amount of daily vitamin D required according to vitamin D expert Dr. Cedric Garland. So be sure to take vitamin D3 supplements and get plenty of sunshine (as long as you aren't ultraviolet light sensitive). Natural Treatment for Lupus #3... Probiotics: Probiotics are healthy gut bacteria which play a crucial role in immune system development. They definitely help to extend the length of lupus remission and reduce flare-ups considerably. According to a 2009 study published in The Journal of Immunology, the lactobacillus bacteria can help control the development and progression of lupus, along with significantly reducing the pain and inflammation. yogurt, kefir, miso, tempeh and sauerkraut as these are are all rich in probiotics. This great website can help you out further with this... Cultures for Health. Natural Cure for Lupus #4... Apple Cider Vinegar: Most lupus sufferers have a deficiency of hydrochloric acid in the stomach. ACV promotes hydrochloric acid production and is also a powerful detoxifier. In addition, apple cider vinegar helps build up the good bacteria in the gut and enhances nutrient absorption. Just make sure the ACV you buy is organic and still contains the "mother" apple. One tablespoon taken three times daily before food is best. Natural Remedy for Lupus #5... Coconut oil: Coconut oil is vital for a healthy immune system and a healthy gut. Because lupus is an auto-immune disease, and new research is also showing that auto-immune diseases and an unhealthy gut are closely linked, coconut oil is considered essential for the prevention and treatment of this health problem. Once again, make sure the oil you buy is organic (and virgin coconut oil). Natural Treatment for Lupus #7... Epsom Salt Bath: Epsom salt baths are great for relieving fatigue, a common symptom of lupus. They also help to reduce joint pain and inflammation, along with helping your body absorb magnesium (one of the most important nutrients our bodies need). To make simply dissolve one cup of Epsom salt into a bath filled with warm water. Soak yourself in it for 15 to 20 minutes. Do this two to three times per week. So be sure to give these remedies a go. You'll be pleasantly surprized by the results! Comments for 7 Natural Remedies for Lupus That Give Proven Results! If you want to cure your lupus then take diatomaceous earth everyday - one tablespoon in a glass of water. Make sure it's food grade though. Yes, diatomaceous earth is a potent remedy for lupus - and it's cheap as chips! Amazon stock it... Diatomaceous Earth Food Grade or you can get it directly from their website. This article on diatomaceous earth for treating parasites and lupus is worth a read as well... Lupus Cure - Diatomaceous Earth.